Last November, while assessing several losses by plaintiffs in “all natural” food labeling class actions, we discussed two opinions issued by the same Southern District of California judge (Marilyn Huff) on the same day (July 30, 2013). Both opinions certified far narrower classes of plaintiffs than the lawyers in each case sought. The defendants in these cases—Bear Naked and Kashi (both owned by Kellogg’s)—unsuccessfully sought the U.S. Court of Appeals for the Ninth Circuit’s permission to immediately appeal Judge Huff’s certification orders. 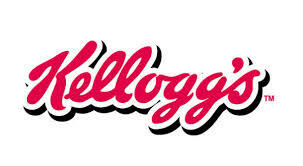 With Kellogg’s facing trial in both cases, albeit against smaller classes of plaintiffs, it entered into negotiations which resulted in proposed settlements to be presented to Judge Huff in consecutive hearings on May 27. We describe the proposed settlements below and offer some thoughts on them. Thurston v. Bear Naked. The proposed settlement terms in Thurston largely mirror those in Astiana. The named plaintiffs are to receive $2,000 incentive awards. The settlement fund is $325,000. Absent class members with receipts can receive $.50 for each product with no maximum recovery limit. Those who can’t prove they purchased the supposedly offending Bear Naked products can claim $.50 for each item with a $10 maximum. Bear Naked agrees to remove “100% Natural” and “100% Pure and Natural” from its labels and ads. And the attorneys’ fees? The Class Counsel will only be seeking “an award of reasonable, actual out-of-pocket expenses.” Why so modest? Many of the same law firms which sued Bear Naked were also counsel to the Astiana class. Because Thurston and Astiana involved nearly identical issues, it’s doubtful that Judge Huff would award substantial fees for the law firms’ work in Thurston. Commentary. Even though Judge Huff substantially shrank the size of the plaintiffs’ classes in her July 2013 rulings, Kellogg’s determined that the benefit of settling outweighed the cost of continuing its defense and the risk of losing at trial. We don’t begrudge its business decision, but we do lament the consequences. We’ll repeat what we’ve said previously in a similar context: settlements can feed the Food Court bar with even more suits. The recovery available for absent class members reflects the truly farcical nature of these “consumer” class actions. Let’s assume that very few Californians still have receipts for Kashi and Bear Naked purchases between 2007 and 2014 (the “class periods” for the suits). So the vast majority of the payouts will be based on “we’re eligible because we say so” claims accompanied by affidavits which the court won’t be able to disprove. A free $25 for swearing you bought 50 Kashi products over 7 years, and $10 for saying you purchased 20 Bear Naked products in that time? How many dishonest claimants will that attract? More absurd, however, is that if money remains in the settlement fund after all claims have been paid out, the remains don’t go to charity through the cy pres process or even back to Kellogg’s. The remaining amount “shall be used to increase pro rata the recovery of each eligible claim.” So that free $35 could be increased substantially if few claims are filed. Finally, consider what the lawyers have won. Not only are they raking in $1.25 million while their “clients” may each get at most $35, but they forced Kellogg’s to make a labeling change. The lawyers can brag, “our lawsuit forced a giant food company to rid its labeling of the term ‘natural.’ Federal regulators can’t get these kinds of results. We sued to defend the public good, and we succeeded.” That alone will inspire more litigation by crusading class-action lawyers who can make money while advancing an anti-free enterprise agenda.